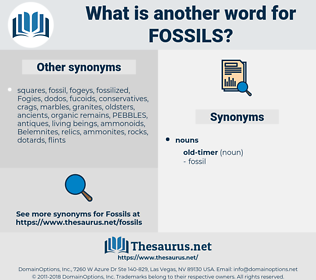 What is another word for fossils? excavations, emissions, fuels, relics, sources. Menevian beds and their fossils. 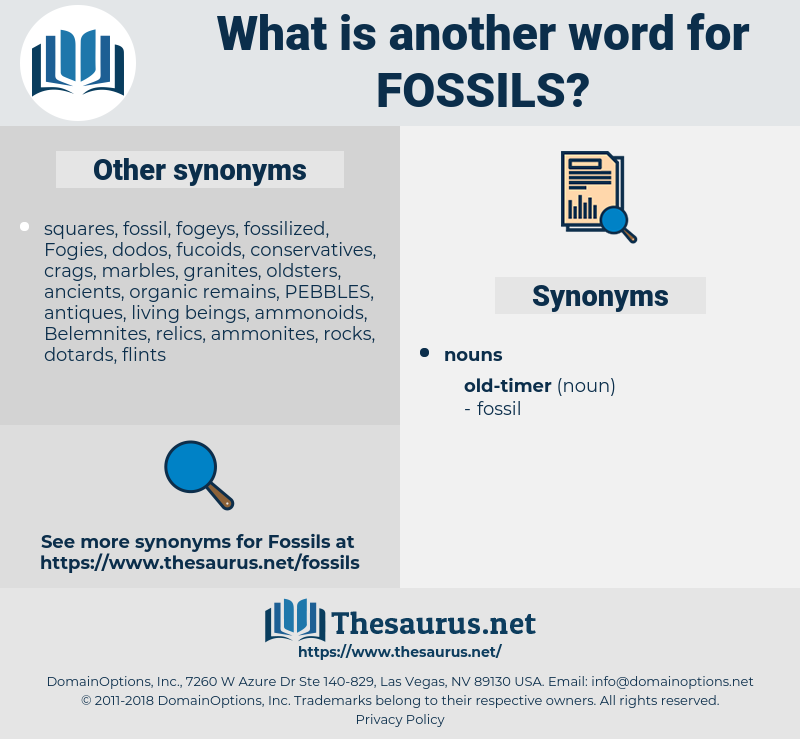 Here, I knew, I could meet only dead men, but urged by some curiosity, I searched to the end, wading in the middle through a three - feet depth of sea - weed twine: but there was no one; and only belemnites and fossils in the chalk.